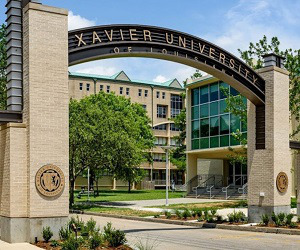 Xavier University of Louisiana has announced a partnership with Ochsner Health System to launch a new master’s Physician Assistant (PA) Program. The new 28-month, full time master’s program will include three semesters of classroom instruction and 16 months of clinical training within the Ochsner Health system, according to an Xavier University of Louisiana release. A PA is a licensed and trained health care professional who works under the supervision of a physician. After completing the three semesters of classroom instruction, PA program students will complete around 2,000 hours of interactive clinical experience through 11 rotations at various Ochsner facilities, working in specialties such as Internal Medicine, Family Medicine, Emergency Medicine, Behavioral Health, Pediatrics, General Surgery and Women’s Health. The program is anticipated to be in effect for the January 2020 semester, pending achieving Accreditation-Provisional status from the Accreditation Review Commission on Education for the Physician Assistant.